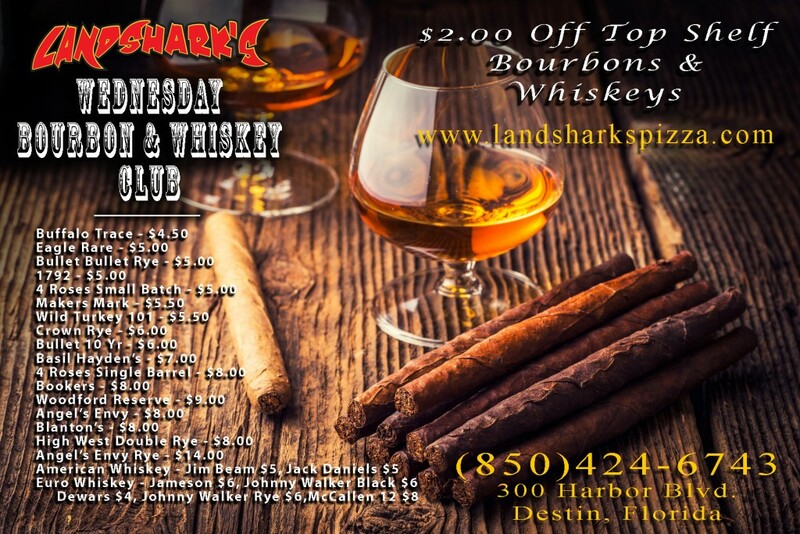 / Destin FL Sports / GET YOUR SPOT AT LANDSHARK’S FOR SUPERBOWL 52 – SUNDAY FEB 4TH! 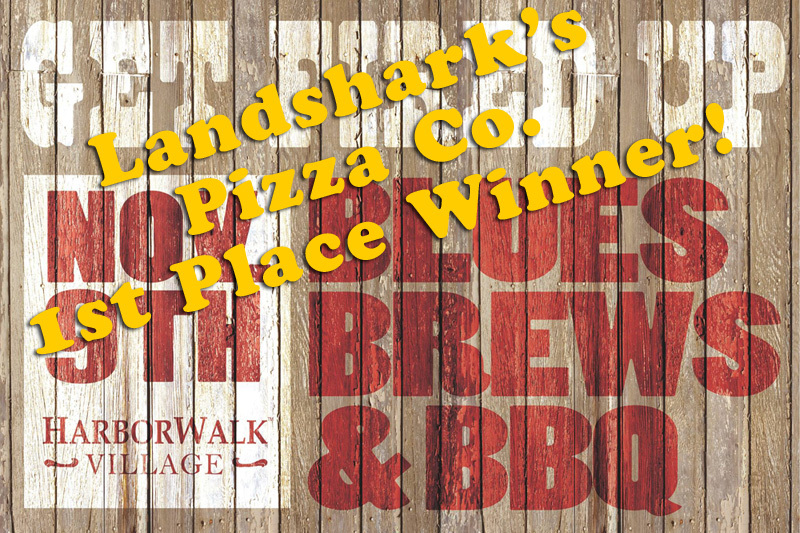 Superbowl Party 2017 in Destin at Landshark's Pizza Company - Bottomless Beer, Wine, & Wings! 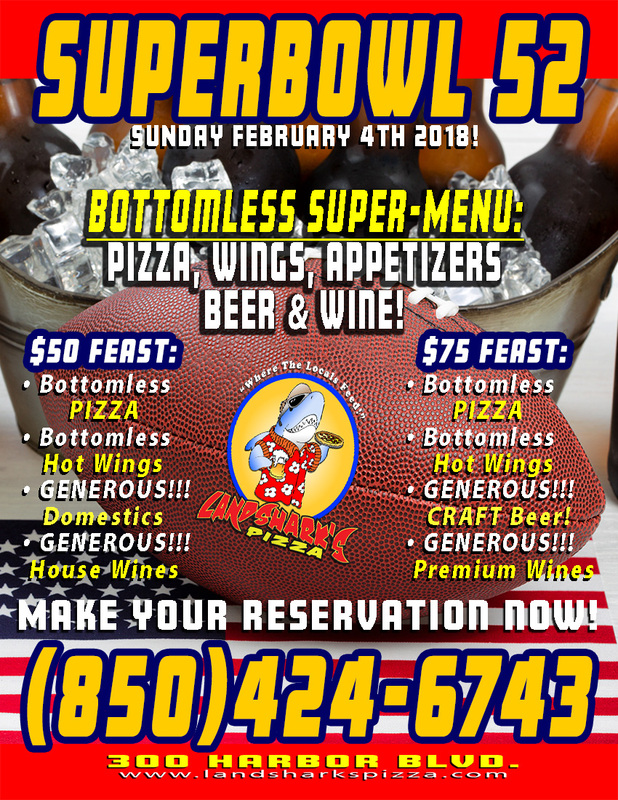 GET YOUR SPOT AT LANDSHARK’S FOR SUPERBOWL 52 – SUNDAY FEB 4TH! 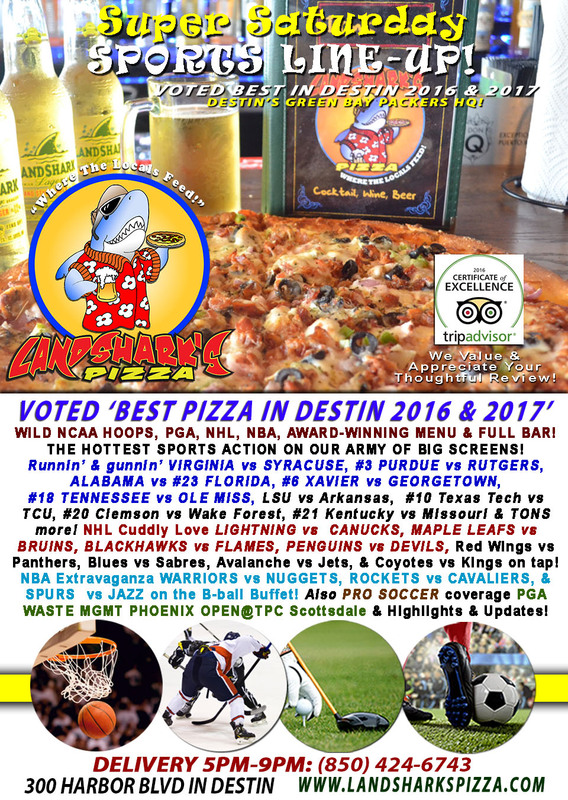 LANDSHARK’S PIZZA IN DESTIN, FL SUPERBOWL 52 SUNDAY PACKAGES! You can watch the Superbowl like a BOSS on February 4th with TWO ‘SPECIAL TREATMENT’ PACKAGES that will make you feel like you’re sitting in an exclusive corporate suite at the game…only better, cuz you’ll be on a V.I.P. barstool or lounging lavishly in your dream table chair in Destin hanging with your friends, dining on the finest grub in town as rivers of domestic brew, craft beer & premium wine flow past! $50 SUPERBOWL PARTY PACKAGE – Bottomless Domestic Draft Beer paired with Endless Wings, Pizza, Appetizers Etc. $75 SUPERBOWL PARTY PACKAGE – Bottomless Premium Craft Beer & Wine paired with Endless Wings, Pizza, Appetizers Etc. 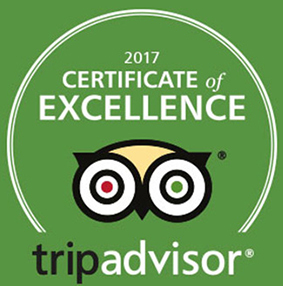 CALL OR STOP BY ASAP TO BOOK YOUR SLOT AT THE BAR OR AT A STRATEGICALLY GOOD VIEWING TABLE! 300 HARBOR BOULEVARD IN DESTIN – (850)424-6743! 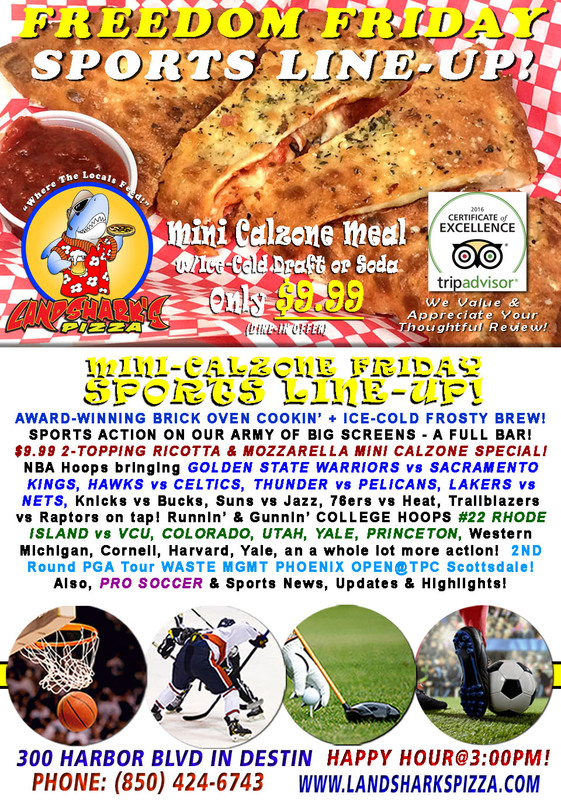 Previous Post: « Landshark’s FREEDOM FRIDAY TWO-TOPPING CALZONE & Brew $9.99! GOLDEN STATE WARRIORS Hoops & NHL ACTION-FEST!